Nine-time sumo grand champion ‘Harumafuji’ of Mongolia has been accused of attacking a lower-ranked wrestler with a bottle of beer. Harumafuji, 33, hit compatriot Takanoiwa over the head at a party for Mongolian sumo wrestlers last month, violating the strict sumo rules that prohibit wrestlers from demonstrating their emotions in public, according to Japan’s public broadcaster NHK. Takanoiwa, 27, was treated in hospital for concussion and a fractured skull, NHK said. Harumafuji, one of three Mongolian ‘yokozuna’ – or sumo grand champions – apologized on Tuesday to Takanoiwa for his injuries and for “causing trouble” for Takanoiwa’s stable master Takanohana. “As for Takanoiwa's injuries, I apologize deeply for causing trouble for stable master Takanohana, people affiliated with the Takanohana stable, the Japan Sumo Association and my stable master," he said, NHK reported. Harumafuji’s stable master, Seiya Isegahama, told reporters his charge is planning to visit his victim’s stable master later on Tuesday to apologize personally. 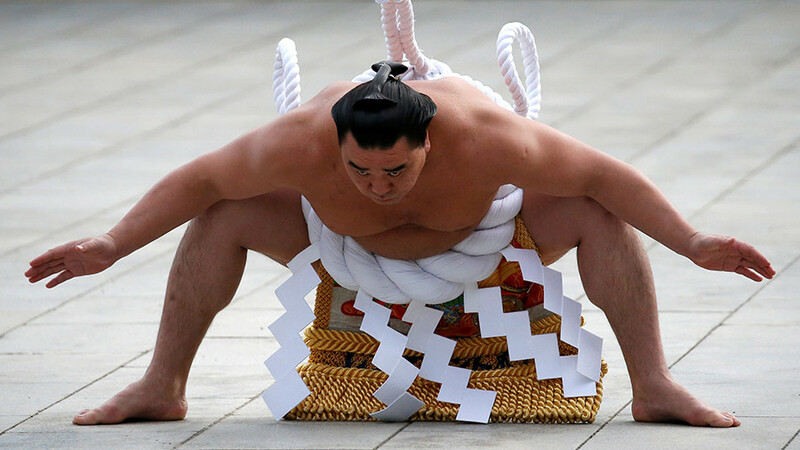 It was reported that Harumafuji will not take part in the Grand Sumo Tournament currently underway in Fukuoka, Japan. Takanoiwa, who will reportedly spend up to two weeks in hospital, is also not on the list of the tournament competitors. Japanese sumo officials have so far not made any comment on the incident, as they are still investigating the allegations. However, it’s known that the incident has already been reported to police. For years, non-Japanese wrestlers were prohibited from obtaining the rank of yokozuna, the highest title in sumo, until 1993. Currently, the majority of yokozuna hail from Mongolia and Eastern Europe. A Japanese-born wrestler hasn’t reached the rank of yokozuna in over a decade.